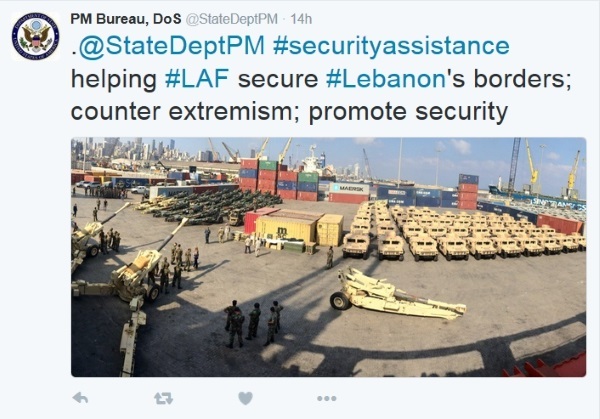 Hezbollah has effective control of Lebanon, and the Lebanese Armed Forces (LAF) are thoroughly infiltrated by Hezbollah. 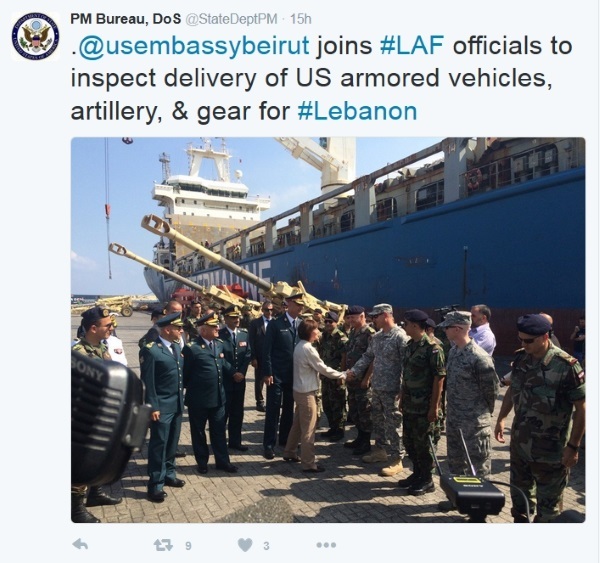 So why is the US providing weapons and equipment to the LAF? There is no way to keep them out of the hands of Hezbollah. The IDF will be facing these weapons in the near future. Thank you, Barack Obama! This entry was posted in Middle East politics, War. Bookmark the permalink. I read this yesterday – very disturbing. Is the US opening another front? 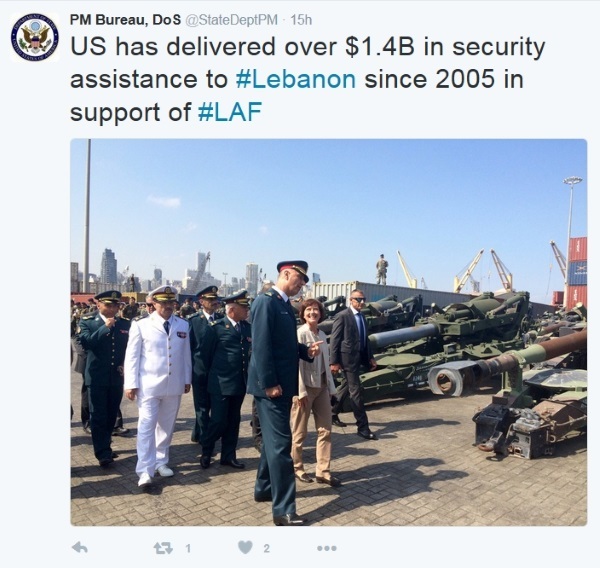 They just gave/delivered $50mn worth of weapons to Lebanon to “fight terror”. Included in this delivery was 50 grenade launchers. Obama’s inexplicable “strategy” is very disturbing.